Home > Which Bug's a Bug - Beetle or Treat? Which Bug's a Bug - Beetle or Treat? Beetle shaped chocolates with 6 fillings. 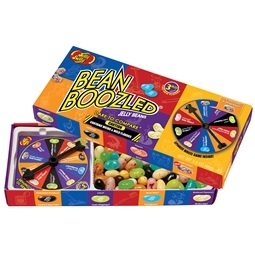 Looking for a silly party game for you and your friends to enjoy? This Which Bug's a Bug - Beetle or Treat? set is essentially a cross between Russian Roulette and a Bush Tucker Trial, daring you to choose from a slection of chocolates - half with traditional fillings, and the other half with bugs!